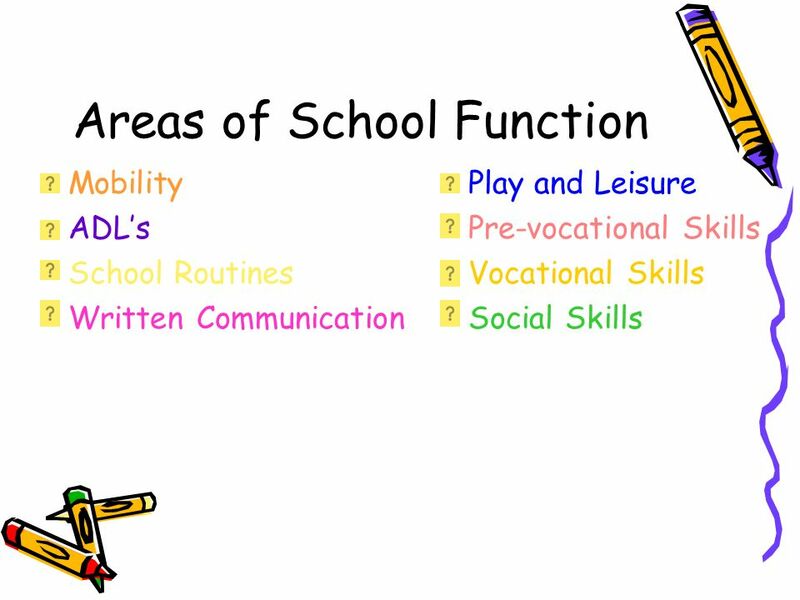 Occupational therapists focus on an individual’s ability to perform functional tasks within the school setting improving the student’s ability to benefit from their education. 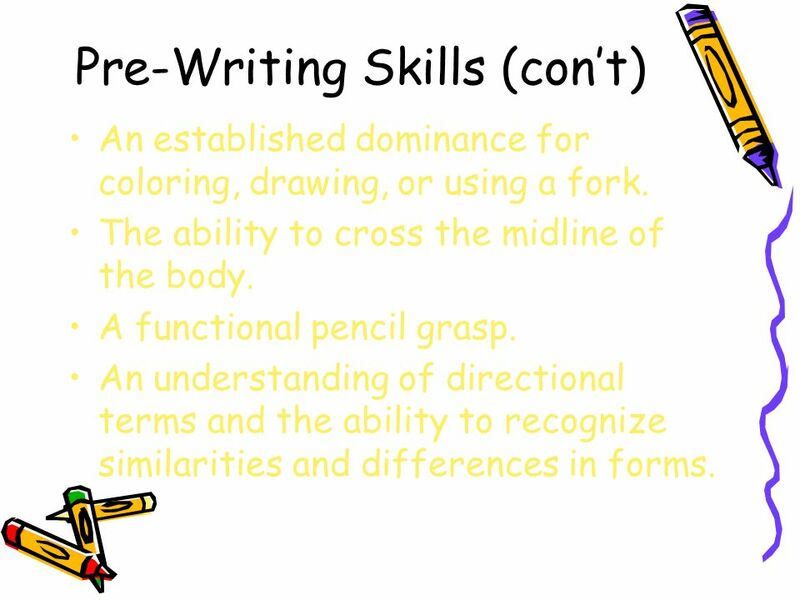 An established dominance for coloring, drawing, or using a fork. The ability to cross the midline of the body. 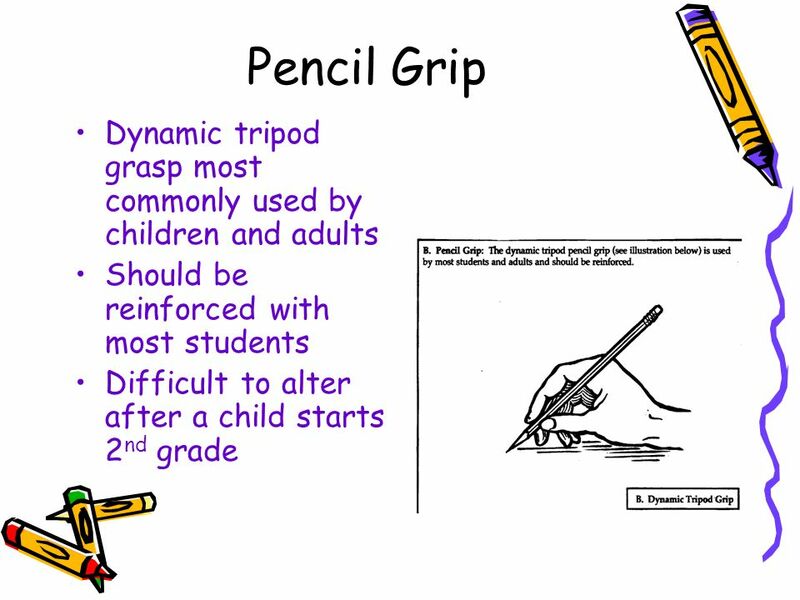 A functional pencil grasp. An understanding of directional terms and the ability to recognize similarities and differences in forms. 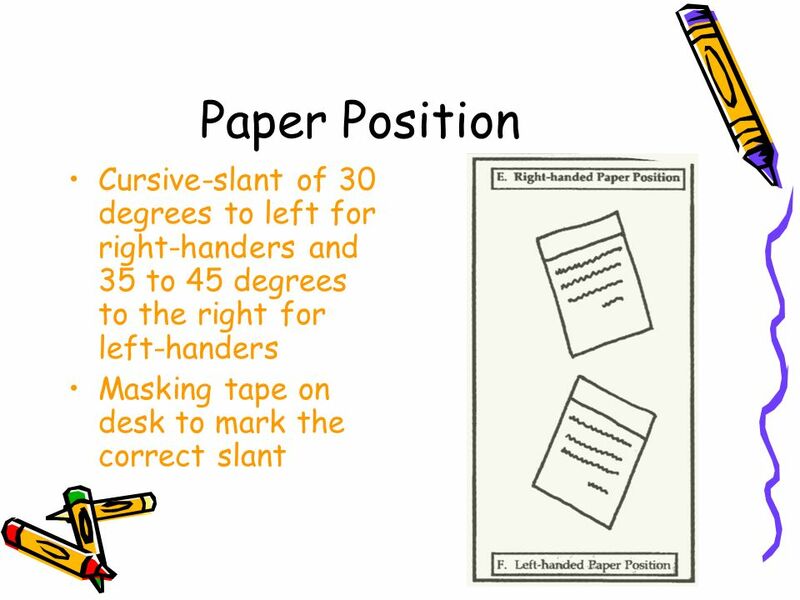 The ability to copy basic lines and shapes. 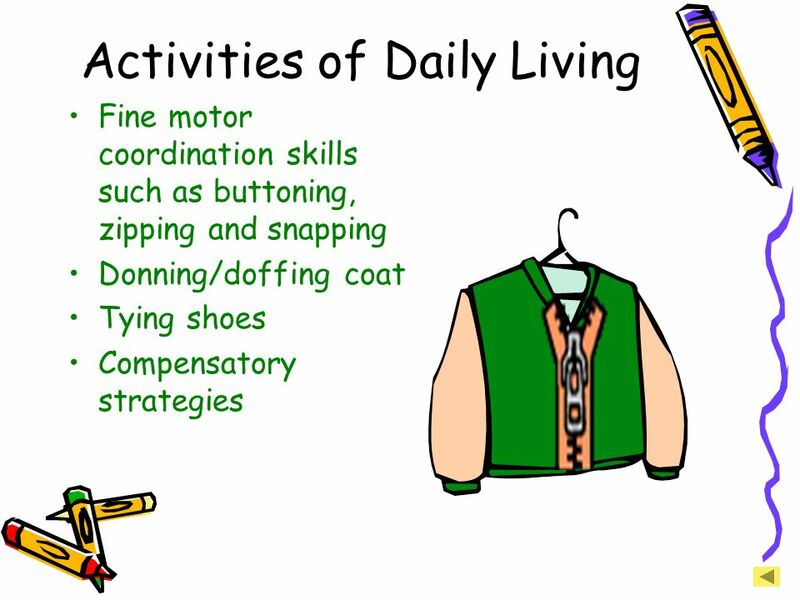 The ability to use two hands in an activity. The ability to coordinate eyes and hands together. 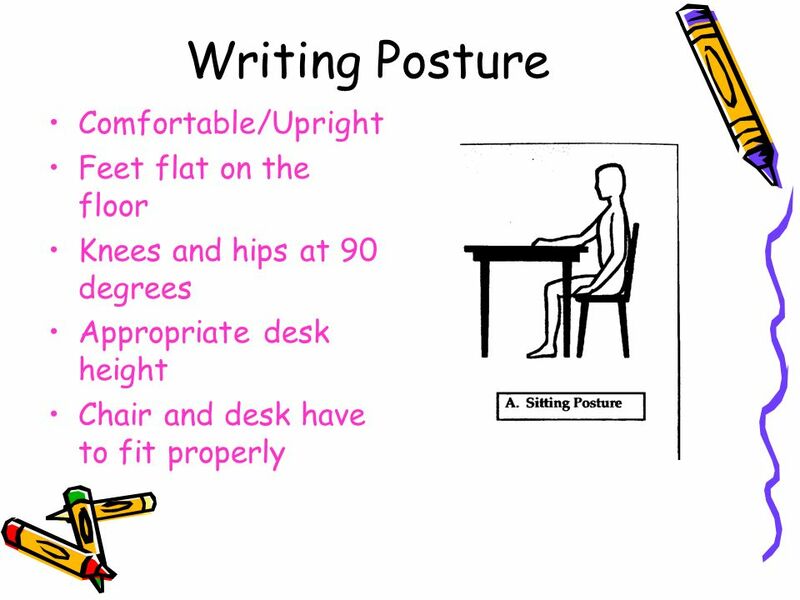 The ability to maintain an adequate sitting posture. Orientation to print. 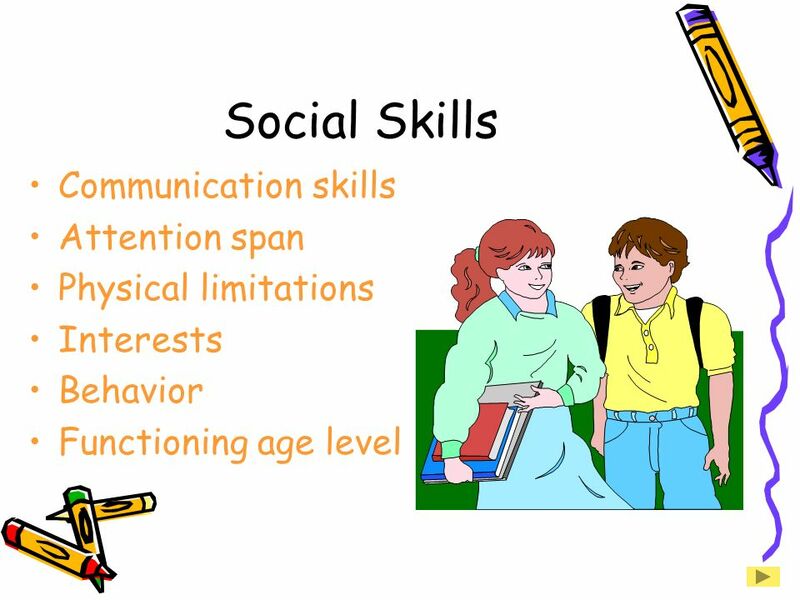 If there are students that have not mastered or are struggling with these skills it is during kindergarten that there should be intervention. 26 IMPORTANT !!! 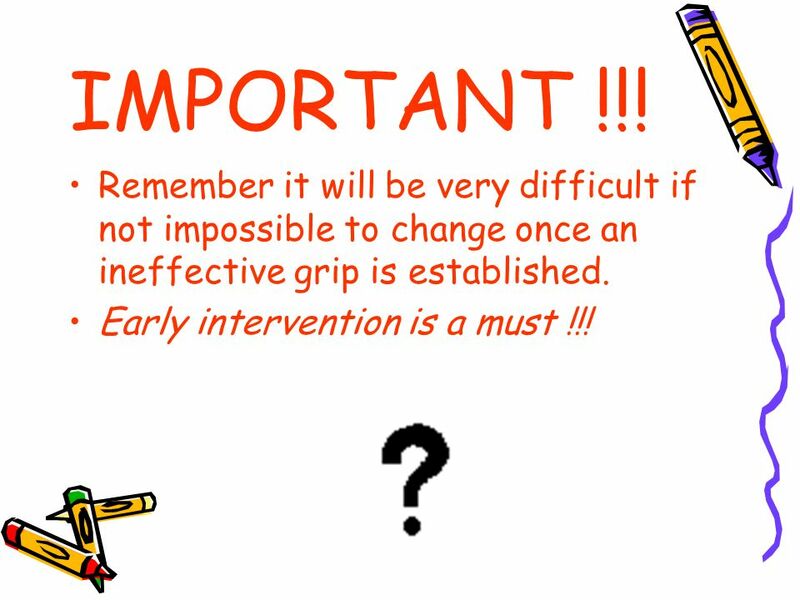 Remember it will be very difficult if not impossible to change once an ineffective grip is established. 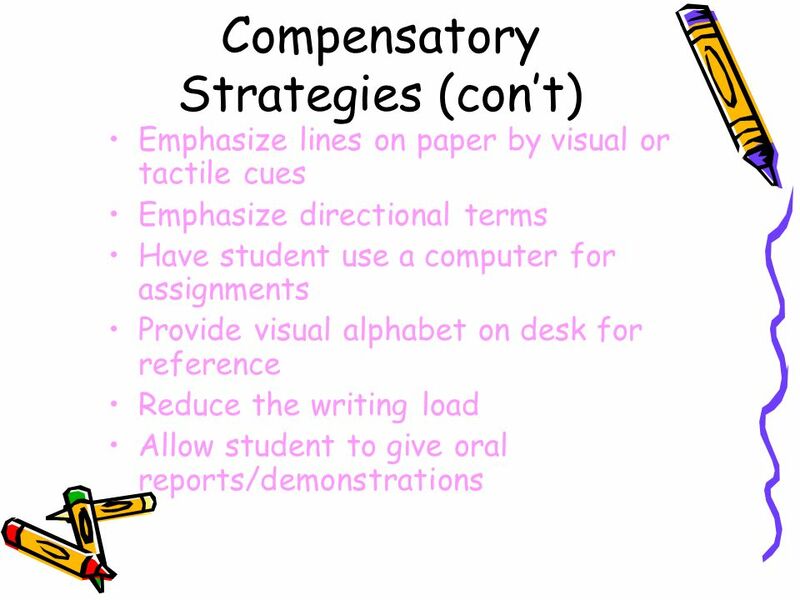 Early intervention is a must !!! 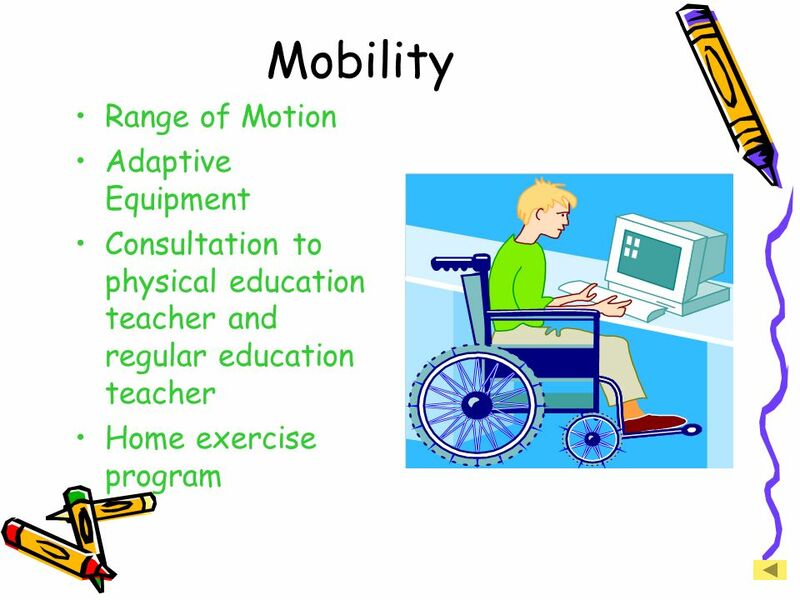 Download ppt "Occupational Therapy in the Classroom"
Chapter 4 Letter Knowledge Jennifer Balls. What? 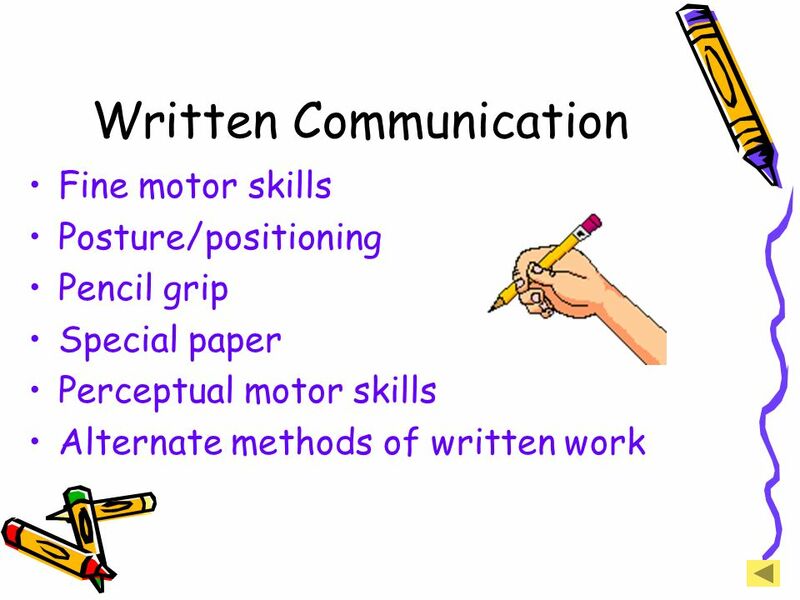 Letter Knowledge 1.Letters are components of written words 2.Letters represent sounds of words 3.There. 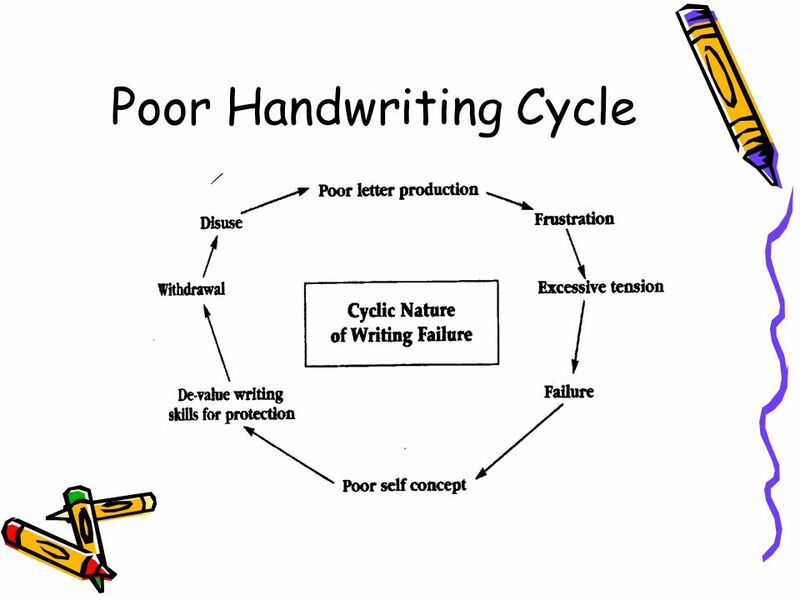 CLASS : V B Topic: LEGIBLE WRITING By Vaishali Shah & Archana Bhasin. 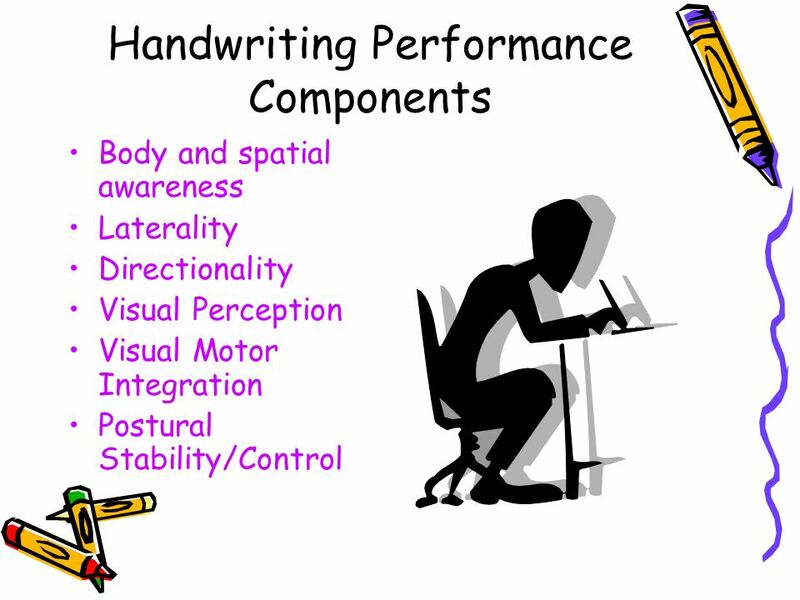  Handwriting  Getting changed/P.E  Copying from the board  Remembering instructions You may have seen a child in your classroom having difficulties. 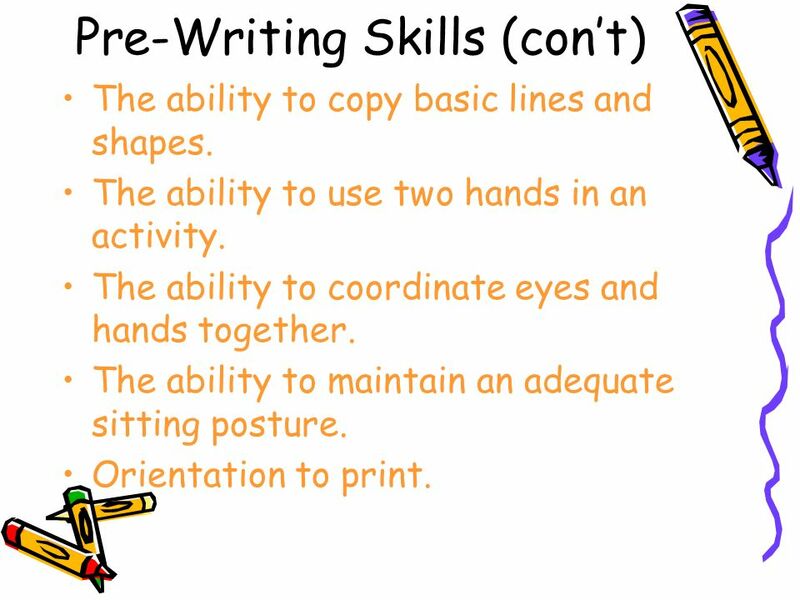 Iowa Department of Education ::: 2006 ::: Principle 2 ::: PPT/Transparency ::: W2-1 Principle 2 Children need to develop fine motor skills for writing. 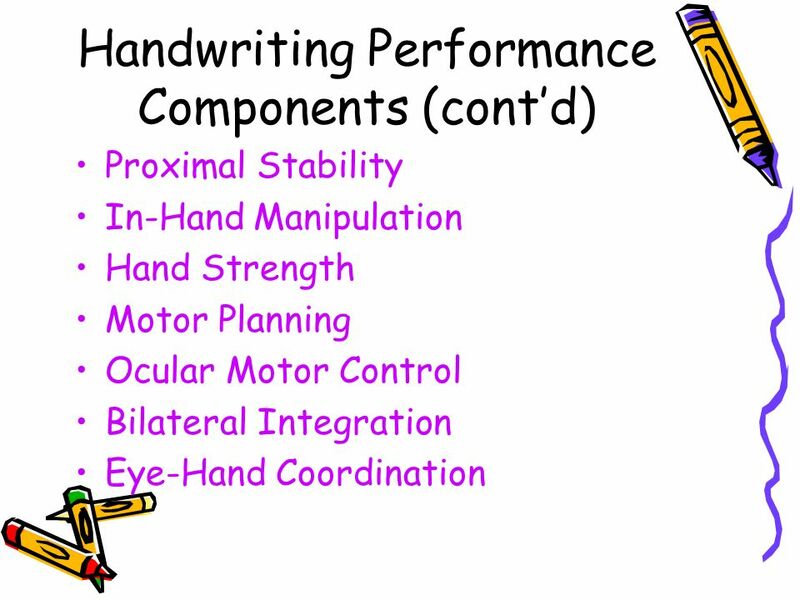 How do you solve a problem like Handwriting? 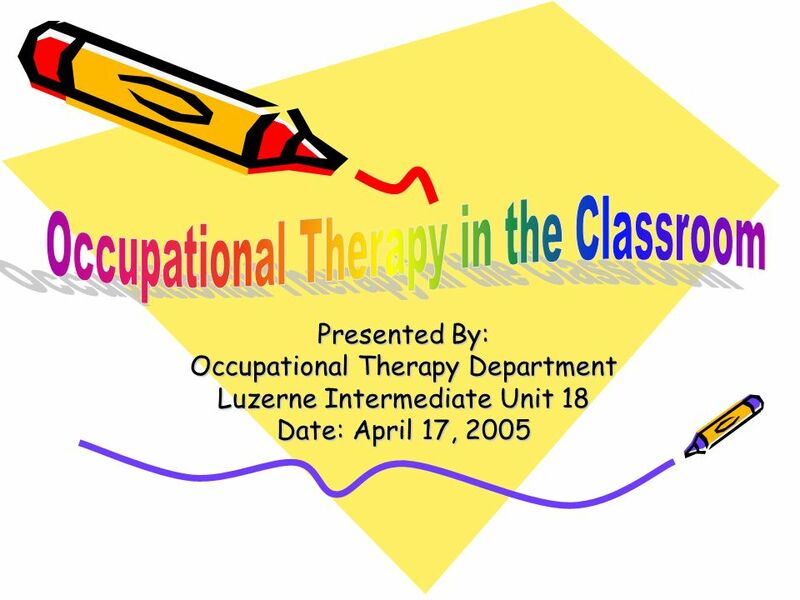 OT Website Dana Brady, Roberta Ciocco Jillian MacDonald, Kimmel Nacewicz, Jamie Weiner. Hands In Motion Laura Turner, OT ELAWR Conference October 13, 2012. 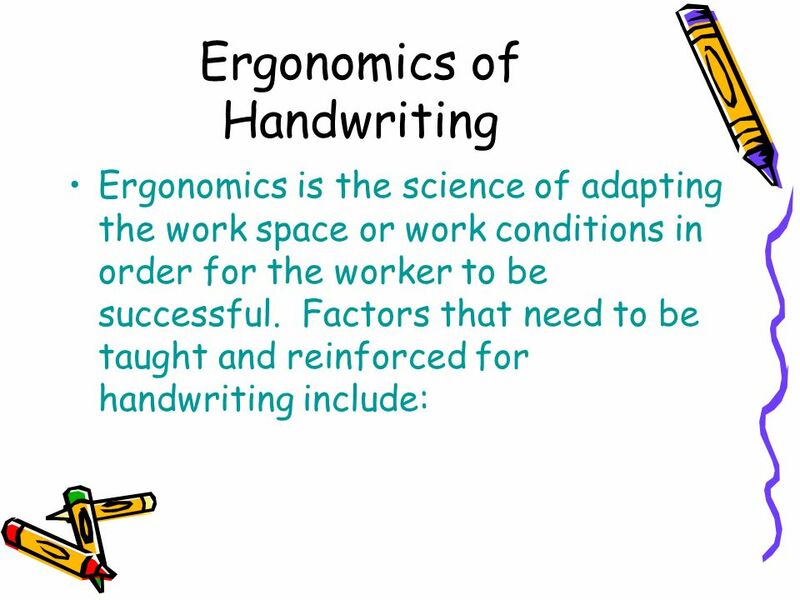 Cursive Handwriting Introducing a whole school policy. 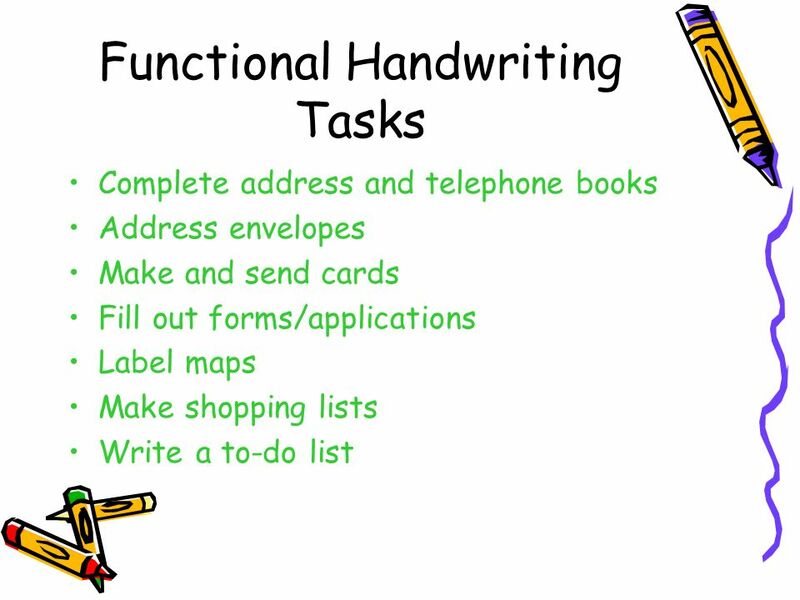 Looking at the Kindergarten Curriculum Newcastle Kindergarten Literacy – Reading and Writing Letter Recognition and Sounds Decoding Skills Word Study and. Antar Abdellah. 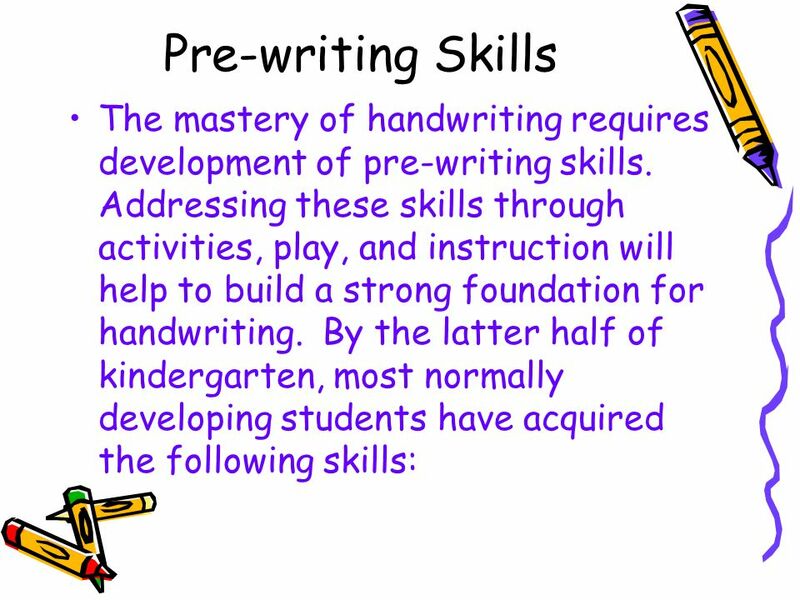  Recognizing advantages of legible handwriting  Identifying basic criteria for legible handwriting  Involving Ss in handwriting activities. 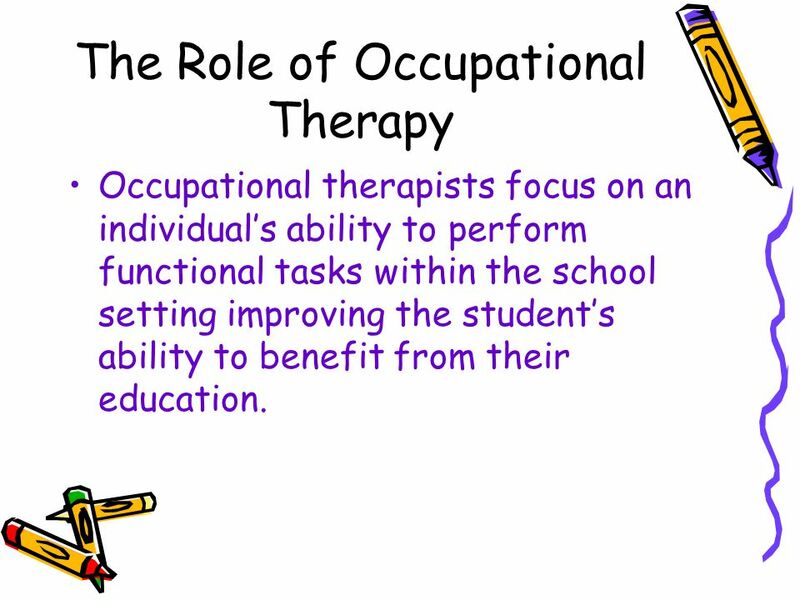 Occupational Therapy South Main Clinic February 28, 2013 By: Sheri Montgomery, Daniel Roberts, Debbie Thomas, and Shelley Woeste. 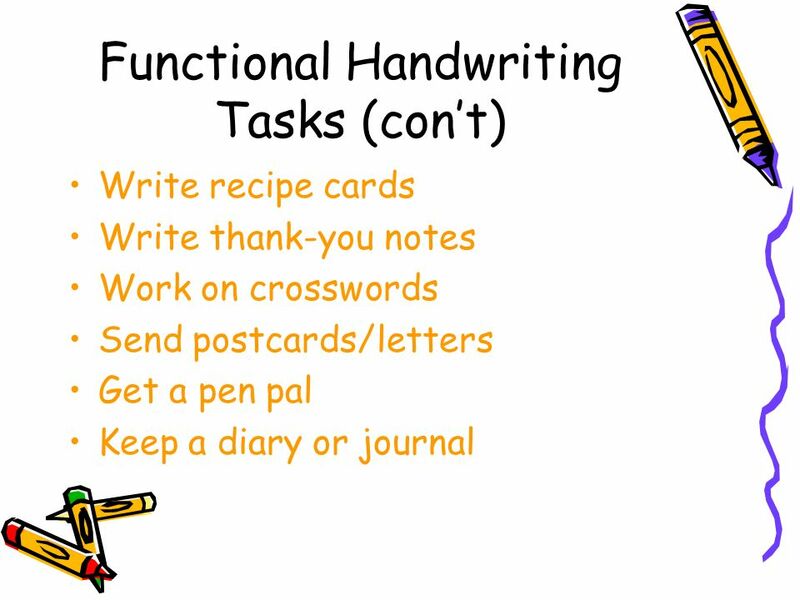 C OCCUPATIONAL THERAPY & HANDWRITING Christine Rowland Assistive Technology December 2014. 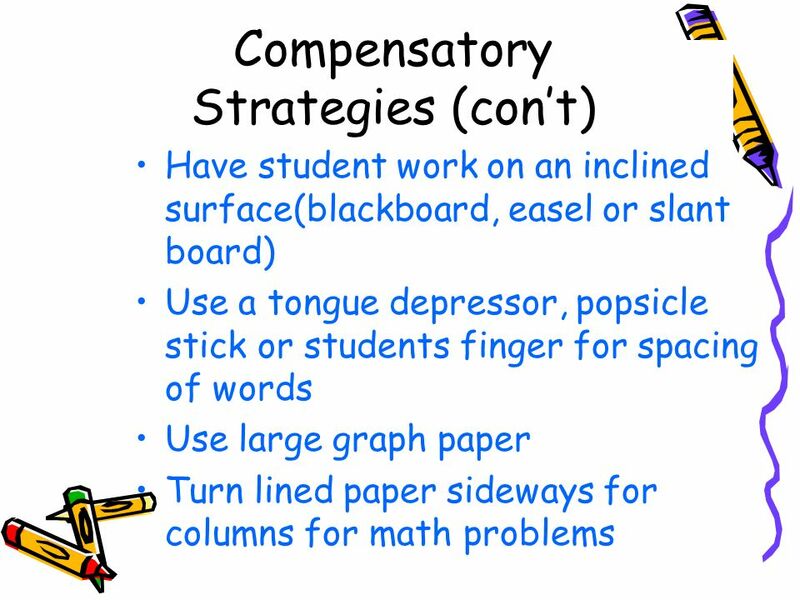 Low Tech Support for Students with Graphomotor problems. 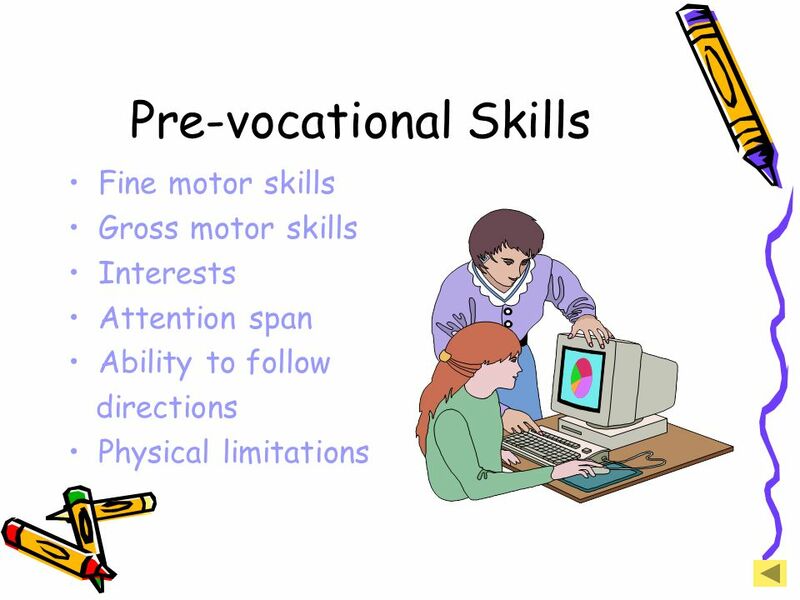 Motor Skills Years. 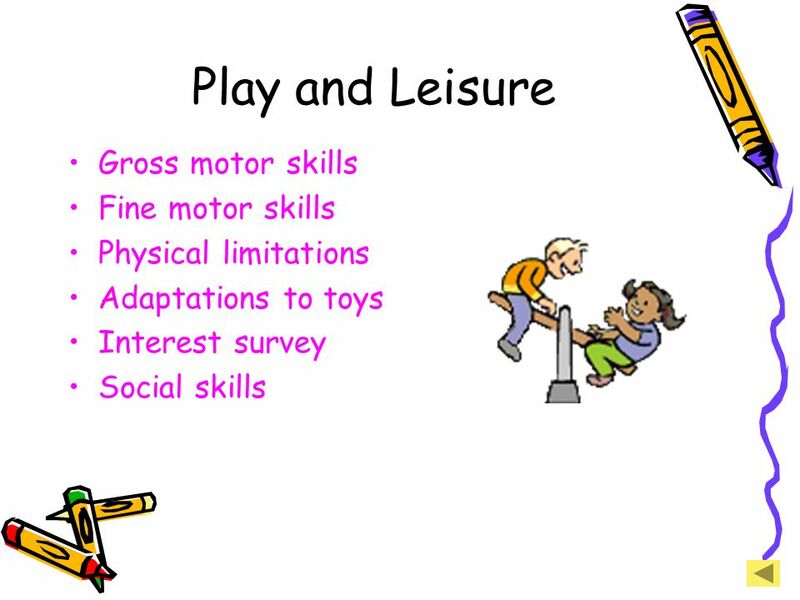 Basic Principles of Motor Development Due to brain development & environment Head to toe Proximal to distal Bilateral to unilateral.